The annual college football bowl game -named for Grantland Rice, was one of four regional NCAA college division championships from 1964 to 1972. The Rice Bowl morphed into the Mideast Regional championship and was played in Murfreesboro, Tennessee from 1964 -1968. The NCAA realigned the Regionals in 1969 and the game shifted to Baton Rouge, Louisiana until 1975. In 1973, after another restructuring, the game became the national Division II semifinal. The game became the Division II semifinal in Fargo, North Dakota in 1976, and was played in Anniston, Alabama in 1977. The game ceased to exist with the formation of Division I-AA and a playoff structure. In the 1968 game, Tommy Spinks of Louisiana Tech set two records when he caught 12 passes for 167 yards. NFL Hall of Famer Terry Bradshaw was the Louisiana Tech quarterback in that game. Since 1981, the NCAA Division I FCS Playoff South Regional Championship (National Quarterfinal) is commonly referred to as the Grantland Rice Bowl in honor of its College Division heritage. (The game is played at the highest remaining seed in the South Region with the winner advancing to the NCAA Division I FCS Playoff Final Four (National Semifinal). 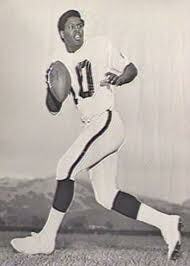 Tennessee State quarterback Eldridge Dickey led the Tigers to back to back (1965, ’66) Bowls wins. He was the no. 1 draft pick of the Oakland Raiders in 1968, but even after a stellar college career at quarterback, he never played at the position in the pros.